Why Do Pakistani Authors Fare So Well in India? Books Beyond Borders: Why Do Pakistani Writers Fare So Well Here? With acclaimed Pakistani novelist Kamila Shamsie’s novel, Home Fire, earning a place on the Man Booker Longlist this year, the focus is once again on Pakistani writers. And while Shamsie was lucky to have found the necessary encouragement for her literary pursuits in her family and publisher, others in her country have not been quite so lucky – one of the reasons that they look at booming literary markets like India. Pakistani publishers are few and often, quite selective. They are extremely wary of publishing material which may be deemed controversial. (In that case) given the number of publishing houses, the competition and the scale of the market across the border, India becomes the ideal place to publish. 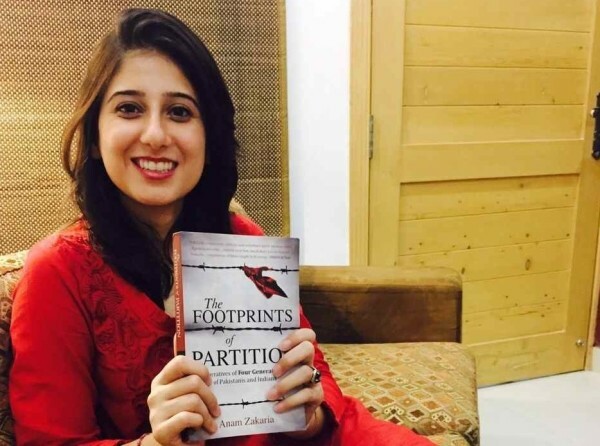 Anam Zakaria’s debut non-fiction, The Footprints of Partition, was an out an out success. Pakistan has many very accomplished writers – so the first thing that draws one, is the quality of the writing. There is an abiding interest in knowing what life is like on the ‘other side of the border’ – for older readers, who quite often have personal connections with Karachi, Lahore, Rawalpindi – and also for the younger, post-partition generation, many of whom have never seen these places, but want to know more about them. And while the literary success of writers like Mohsin Hamid, Uzma Aslam Khan, Hanif Kureishi and many more, in the past few years has only served to whet the appetite of publishers, there is no dearth of good writing talent in Pakistan, if South Asia’s top literary agent, Kanishka Gupta, is to be believed. Gupta’s list currently includes 33 well-known and upcoming writers from Pakistan, with many more being represented by other Indian literary agencies like Red Ink and Siyahi. I think their sensibilities and preoccupations are not much unlike their Indian counterparts, lending their work a lot of urgency and relatability. However, even as their reader base continues to grow in India and beyond, there is not much change in the themes that most Pakistani writers dish out. Are they scared of experimenting, I wonder? Sabyn Javeri’s political thriller, Nobody Killed Her, has been making waves for some time now. I think writers write what they feel strongly about and not necessarily to fit into a stereotype. However, I think there are internationally based writers of Pakistani origin who may be writing on similar themes but as for within Pakistan I think the variety of subjects is pretty varied. She reminds how her own novel looks at gender parity and class through women in politics. I think the problem is that local writers often don’t get as much coverage in the media as international ones and that’s why the general perception is that most Pakistani novelists are writing about themes pertinent to the West so as to get a publishing deal. But unfortunately, that’s not a very holistic view of the Pakistani publishing scene. I don’t agree that all Pakistani novels are about terrorism, ISIS, hijab etc., or that the themes are repeated. Bina Shah’s first novel, Slum Child, which I also published, was, for instance, about the class divide in Karachi society; another very talented writer, Shandana Minhas, wrote a very funny novel, Tunnel Vision, about a girl who proposed to her boss. (Similarly), Invitation by Shehryar Fazli, is based on the creation of Bangladesh. So there are many societal themes, and family sagas, too. But are the publishers interested in these “new ideas”? Shandana Minhas has recently started her own publishing house, Mongrel Books. In Pakistan – apparently not – for almost all the Pakistani writers I talked to had very “disappointing” starts. Shandana Minhas, acclaimed author of three novels, including Tunnel Vision, discloses how logistical problems plaguing Pakistani publishing industry complicates things for local writers. And the moment she tells me that, I know a lot of writers are listening.